Ghana is one particular country that has produced remarkable talents in recent times. In its various entertainment industries, there is no shortage of celebrities. Some of these celebrities come from wealthy backgrounds while others who although, are from average backgrounds have, by showcasing their talents, acquired wealth and fame. The likes of Sarkodie comes from an average background but hustled through the ranks and has become one of the most successful musicians in Africa. As rich as the families they were born into were, these Ghanaian celebrities did not ride on the back of the fortune but worked tremendously towards their own successes. 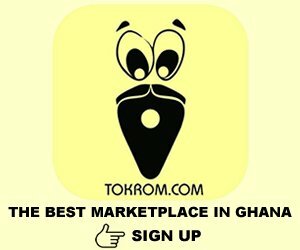 Ghpage.com takes you through top 10 Ghanaian Celebrities Who Were Born Rich. Popularly known as Reggie Rockstone but born as Reginald Osei is a Ghanaian rapper and rightly called the Godfather of Hip-Life as he pioneered the Hip-Life movement in 1994. He was born in the United Kingdom but lived his early years in Ghana. Rockstone is the son of accomplished fashion designer, Ricky ‘Ricci’ Osei. In 2004, Reggie won the Kora Award for the best African Video and he performed in front of a 50,000 person crowd in Ghana, together with Shaggy.He attended the elite boarding school, Achimota School in Accra, Ghana. Efya has won several awards at the GMA ,she was the Best Female Vocal Performance for the 2011, 2012, 2013 and 2014 editions of the Ghana Music Awards. Among her songs are Forgetting Me, Jolie,best in me and One of Your Own. Born as Jane Afia Boafowaa Awindor, but known in showbiz as Efya. The former Yaa Asantewaa Girls student is the daughter of Greetings From Abroad star, Nana Adwoa Awindor. The songstress who saw her dad at age twenty-three due to the many businesses and other engagements of his in Germany holds a degree in Music and Theatre from the University of Ghana.